Dwarf dogwood berries are high in pectin and can be used in making preserves. Photo by Suzanne Crocker. Dwarf dogwood is a common wild flower found around Dawson and throughout many parts of the North. It is also known as bunchberry. In the summer there is a single white flower in the middle of this low-laying plant. Around mid-August the flower disappears and is replaced by a cluster of small orange berries. 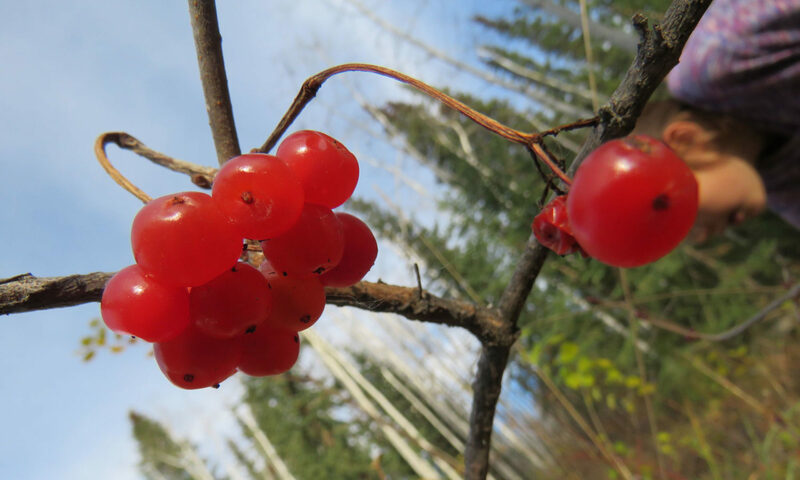 The berries are not unpleasant, and have a small seed that is easily chewed, but the taste overall is rather bland. However, they are very high in pectin and can be used as a thickener if added to low-pectin fruits when making jam. Suzanne is gathering the berries and freezing them, and will test them out in preserves this winter.